After the corruption and investigation into violence that hampered the beautiful game between 1900-09, the global game would seek to change its image for fans and players alike. The 1910s provide yet another intriguing, inane and inspiring decade of football on and off the pitch. The 10 years between 1910-1919 are remembered for one thing, the First World War. 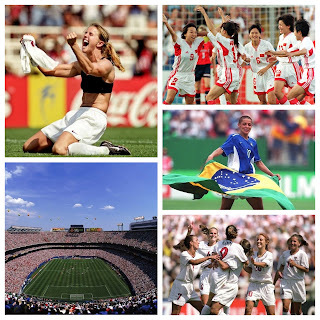 A global event which affected almost everything, including football. In a previous blog we have written about the effects of the Second World War on footballers, but the battles between 1914-1918 provided a new phenomena of which even footballers would have to step into the firing line for the first time. From 1910 to 1914 however, the British game was being dominated by Aston Villa, Blackburn and Manchester United. Blackburn victorious twice in this period, winning the 1912 and 1914 titles. The FA Cup also continued it rise in popularity as multiple teams took the famous trophy home with them. Newcastle, Burnley, Barnsley and Villa all victorious at least once before the Great War. The successful clubs were notably, geographically Northern, perhaps echoing the working/upper class divide which appeared to reflect the north/south boundaries. In fact of the 40 teams involved in the first and second divisions, only six were from the south. As we know the major World War powers from 1914-18 were European nations, Germany, Italy, France and Russia. Firstly the German Championship until 1914 was a relatively underwhelming affair, with a knockout system and a final, the 1910 championship being won by Karlsruher 1-0 in front of a paltry 5,000 fans. Different teams continued to win the trophy, for example SpVgg Furth, however around this time different clubs began to emerge, Borussia Dortmund amongst them albeit twelve days before the turn of the decade (19th December 1909). Other examples of the current crop of German clubs (e.g. Bayern, 1860, Nuremberg) played their football in regional leagues like the Bavarian or South German Championships. In 1914 all footballing activities were halted due to the outbreak of the War. Elsewhere around Europe the growth of football would continue, with Italian giants Internazionale winning the championship in 1910. The 1910 trophy was in a league format of 9 teams, different from the round robin and knockout stages of the earlier 20th century championships. Inter in fact won the cup after a 10-3 play-off win over Pro Vercelli due to both teams finishing with 25 points. More astounding was the fact Pro Vercelli's side consisted of 11 year olds from the clubs youth set-up. This was due to a protest after the match was arranged on the same day 3 players from Pro were due to play in a military match. Pro Vercelli would go on to win the next three Serie A's all of which undertaking different formats to cater for the influx of newly established sides. After Casale won the title in 1914, the following season was suspended in 1915 as the Italians would enter the World War. War broke out on the 28th July, 1914 following the assassination of Austrian Archduke Franz Ferdinand by Bosnian Gavrilo Princip and within a week six major European nations were at war with each other, Serbia, Austria-Hungary, Germany, UK, Russia and France. 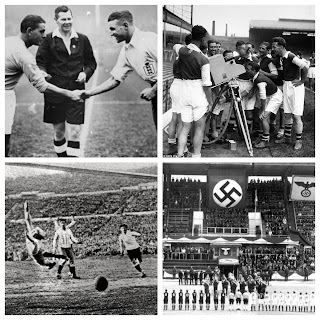 The war would take its toll on the beautiful game as well, as all footballing events were suspended Germany and France. The UK however, would not stop football until the introduction of conscription to the British Army, perhaps due to the common belief in 1914 that the war would be over by Christmas. The 1915 title being won by Everton - the second time in their history. Football in this period also began to show the first signs of it being a "universal language" with power to peace-make and forge friendships. The Christmas Truce in 1914 is now well remembered for the football matches played between the British and German armies in no-mans-land on Christmas Day. According to some records the German's won 3-2 despite the teams being around 50-a-side, more reminiscent of Tudor football! "'A German looked over the trench - no shots - our men did the same, and then a few of our men went out and brought the dead in (69) and buried them and the next thing happened a football kicked out of our Trenches and Germans and English played football." In terms of famous names involved in the fighting, it is easier to spot those from Britain, due to the game being a more popular affair in the United Kingdom. In 1914 a special battalion was set up for footballers interested in joining in the war effort, The 17th Service Battalion of the Middlesex Regiment. Set up by William Joynson Hicks, a politician, its first member was Bradford defender and England international Frank Buckley who would go on to become a Major in the army. The battalion, who fought at the Somme in 1916 had the household names of 2nd Lt. Walter Tull (the first black senior British officer), Fred Keenor (Cardiff City FA Cup winning captain) and England superstar Lt. Vivian Woodward amongst the ranks. However, the battalion would receive a significant amount of casualties, again showing that even the footballers weren't immune to the grim nature of war. After war, football unlike 10 million others would ultimately survive. The game itself only continued to grow in Britain and abroad. In fact, during the war the first form of CONCACAF was established with Brazil, Uruguay, Argentina and Chile its inaugural members in 1916. The first season back in 1919 would show completely altered teams and a victory for West Bromwich Albion as well as five new teams to the Second Division. Football in Germany, France and Italy would resume as well in 1919, in the same formats as before. On the other hand due to their neutral stance during the Great War, the Spanish Copa Del Rey would continue right the way through the four year period. Athletic Bilbao and Madrid FC were the two major powers of the decade, Bilbao winning four King's Cups. 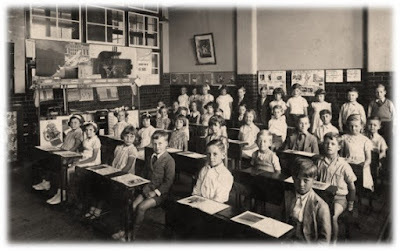 It seems however that the game would not realistically fully recover until the following decade, as new styles and systems would be adopted during the inter-war period. Our match of the decade is the 1915 FA Cup Final between Sheffield United and Chelsea, also known as the Khaki Cup Final due to the vast number of uniformed soldiers in attendance. Sheffield would go onto win 3-0 against the Chelsea side missing star man, the aforementioned Vivian Woodward due to his military service. Goals from James Simmons, Stanley Fazackerley and Joseph Kitchen saw off the London club and displayed a fine tactical performance effective against Chelsea's drawing room style of play (lot's of zig-zag passes). Both teams opted for a 2-3-5 formation, and performed the last major footballing event in England for five years. So there we have it, another decade of controversy, intrigue and inspiration from those footballers who fought and died side by side during the First World War. Would the 1920's continue the growth of the game and produce more unbelievable moments? You better believe it! !